The “shower scene” was shot from December 17 through December 23, 1959. The three-minute scene features 77 different camera angles — most of which are extreme close-ups — and includes 54 cuts. Run Lola Run (original German title Lola rennt, translates as Lola Runs) is a 1998 film by German screenwriter and director Tom Tykwer, starring Franka Potente as Lola. 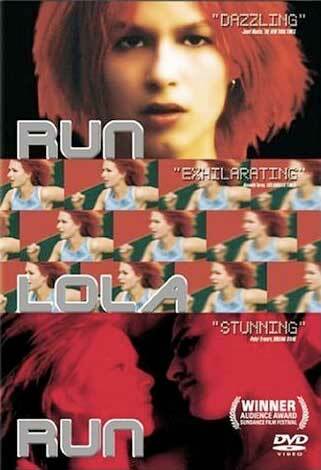 In the movie “Run Lola Run” (Lola rennt in German-1998), the butterfly effect is represented more clearly. There, minor and almost sub-conscious actions in everyday life can be seen to have gross and wide spread effects upon the future. For example, the fact that Lola bumps into someone instead of passing by may lead to a painful death after suffering paralysis. As such, seemingly inconsequential actions can be seen to have drastic long-term results. Lola’s boyfriend Manni is trying to prove his loyalty to a gang boss. Manni’s final task in a particular job is to deliver 100,000 Deutsche Marks to his boss Ronnie. Everything goes wrong. Lola’s moped is stolen and she is unable to transport Manni to the meeting place. After waiting for her Manni decides to use the metro. He accidentally leaves the bag, with its 100,000 Marks, in the underground after an encounter with a bum and two ticket-controllers. The money is then found by the homeless man. Manni realises what he’s done and soon makes a desperate phone call to Lola, asking her to think of something, to help him. If he does not have the money by the meeting at 12 noon, he will certainly be killed. Lola promises to get him the 100,000 marks. Manni warns her that he will rob a supermarket on the street corner if Lola has not come in 20 minutes. Can Lola get him the money and save his life? It is at this point that the three sequential alternative realities begin. The film features several allusions to Alfred Hitchcock’s film Vertigo. Like that film, it features recurring images of spirals, such as the ‘Spirale’ Cafe behind Manni’s phone box and the spiral staircase down which Lola runs. In addition, the painting on the back wall of the casino of a woman’s head seen from behind is based on a shot in Vertigo: Tykwer disliked the empty space on the wall behind the roulette table and commissioned production designer Alexander Manasse to paint a picture of Kim Novak as she appeared in Vertigo. Manasse could not remember what she looked like in the film and so decided to paint the famous shot of the back of her head. The painting took fifteen minutes to complete. SOME SCIENTISTS SEE their work make headlines. But MIT meteorologist Edward Lorenz watched his work become a catch phrase. Lorenz, who died in April, created one of the most beguiling and evocative notions ever to leap from the lab into popular culture: the “butterfly effect,” the concept that small events can have large, widespread consequences. The name stems from Lorenz’s suggestion that a massive storm might have its roots in the faraway flapping of a tiny butterfly’s wings. a person who is able to change their appearance, behavior, or attitudes, so as to be comfortable in any situation. 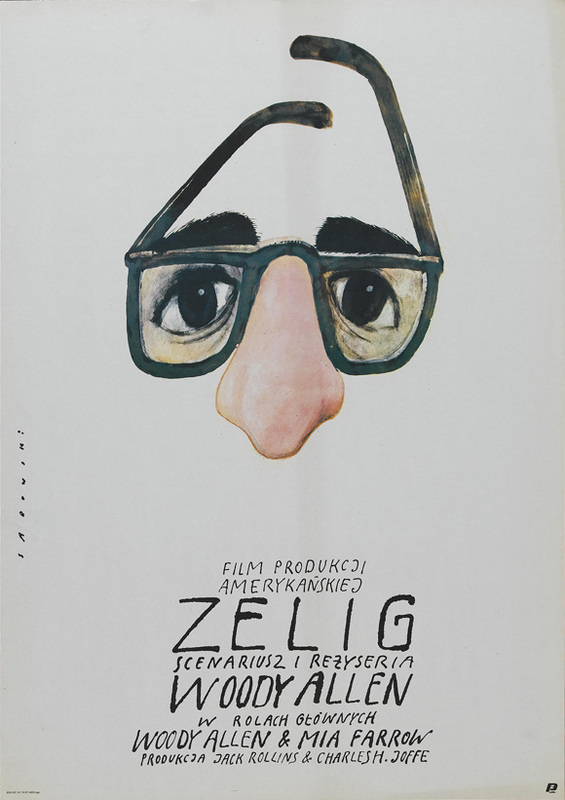 Zelig is a 1983 American mockumentary film written and directed by Woody Allen and starring Allen and Mia Farrow. Allen plays Leonard Zelig, a nondescript enigma who, out of his desire to fit in and be liked, takes on the characteristics of strong personalities around him. 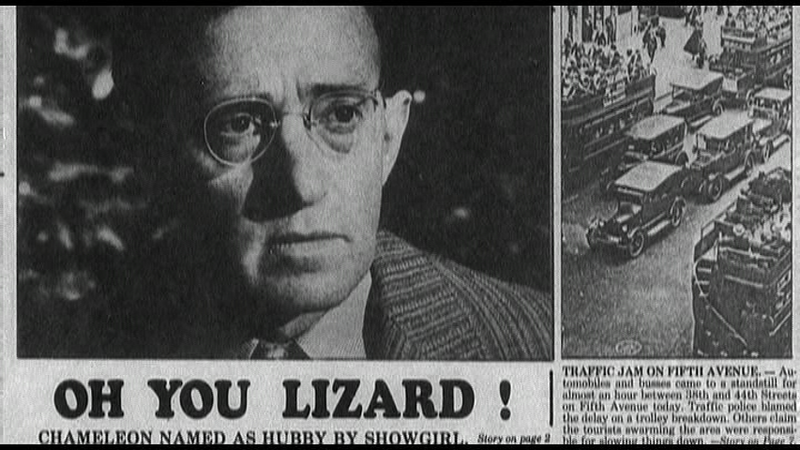 The film, presented as a documentary, recounts Zelig’s intense period of celebrity in the 1920s and includes analyses from present day intellectuals. The film was photographed and narrated in the style of 1920s black-and-white newsreels, which are interwoven with archival footage from the era, and re-enactments of real historical events. Color segments from the present day include interviews of real and fictional personages, including Saul Bellow and Susan Sontag. Plot Synopsis: Max is a genius mathematician who’s built a supercomputer at home that provides something that can be understood as a key for understanding all existence. Representatives both from a Hasidic cabalistic sect and high-powered Wall Street firm hear of that secret and attempt to seduce him. π was written and directed by Darren Aronofsky, and filmed on high-contrast black-and-white reversal film. In 1996 Aronofsky began creating the concept for his first feature film “π”, a psychological sci-fi thriller. After the π script received great reactions from friends, he began production. The film re-teamed Aronofsky with Sean Gullette, who played the lead. During production, Aronofsky and crew realized they didn’t have enough money to complete the film. Associate Producer Scott Franklin came up with the idea to raise completion funds by asking every person they knew for $100. Later in production certain individuals put in more cash, which let Aronofsky complete the film. After π was completed (with a budget somewhere around $60,000), it premiered at the 1998 Sundance Film Festival and Aronofsky won the Directing Award. The film was picked up by distributor Artisan Entertainment and released in selected cities. The film later won an Independent Spirit Award and the Open Palm. $100 investors were said to be subsequently re-paid with $150. However, certain crew members complained that they were never paid at all. Crew members confronted Aronofsky about this, and he claimed he was suing his distributor. Use of the SnorriCam is one of Darren Aronofsky’s trademarks, as featured in π.